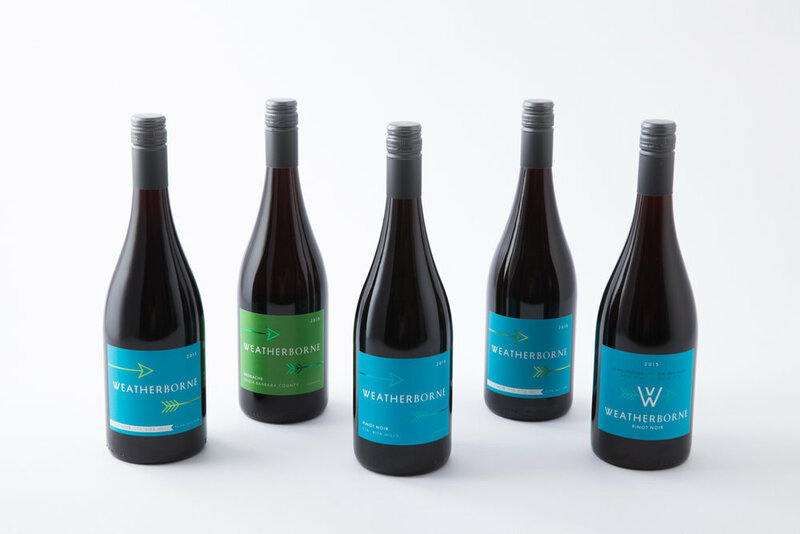 Trade — Weatherborne Wine Corp. Photography and technical sheets provided for your newsworthy needs. Contact us if you need any additional information. Library Wine. Raspberry, red currants, rhubarb, graphite and spice on the nose. A juicy mid-palate with soft tannins and nice acidity on the finish. 225 cases produced. Current Release. Plum, licorice, cedar and a whiff of gunpowder tea on the nose. Layers of earth and spice, with fine tannins and bright acidity. 440 cases produced. Current Release. Dried cranberries, strawberry, bramble and a touch of sandalwood on the nose. Pepperiness starting to come through, firm acidity and rounded finish. 450 cases produced. Current Release. Fennel, red currants and rhubarb on the nose. Lithe and delicate in the mouth, there are substantial tannins ready to reward short-term cellaring. 85 cases produced. 2015 Grenache Santa Barbara Co.
2015 Grenache Santa Barbara Co. | Winemaker, Cris Carter in John Sebastiano Vineyard with Grenache cluster. 2015 Grenache Santa Barbara Co. | Grenache in John Sebastiano Vineyard. New Release. Strawberry, fresh fig and pronounced graphite notes. Leaner in style, with great acidity and clean finish. 50 cases produced. Our future estate vineyard site in Anderson Valley. Sampling barrels in the winery, 2014. Visiting Kessler-Hawk vineyard in Sta. Rita Hills, 2014. Inspecting the future vineyard site in Anderson Valley, 2016.